Be cautious! 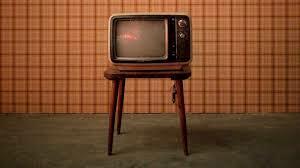 If you are spending too much time watching TV, you are at risk of developing of potentially fatal blood clots. These clots are known as venous thrombosis. Even trying to counterbalance hours of TV watching through adequate exercise is not effective warns Yasuhiko Kubota of the University of Minnesota in the US. Kubota is the lead author of a study in Springer’s Journal of Thrombosis and Thrombolysis. Prolonged sitting can in some cases lead to blood clots because the normal circulation of blood through the legs and feet is impaired. This study focuses on the risk of developing a common and potentially fatal blood clot in the vein called venous thromboembolism (VTE). One type of VTE is known as deep vein thrombosis, where the blood clots form in the deep veins of the legs. Another serious problem is when a VTE becomes dislodged and travels through the blood stream to block off another vein somewhere else in the body. If a VTE ends up in the lungs, it can cause blood clots in the lungs known as pulmonary embolism (PE). Watching television is the most common sedentary behavior around the world, and findings from a 2016 study in Japan highlighted the increased risk of suffering a VTE related to the hours spent in front of the TV. This latest study is the first to focus on a Western population, who are known to be more prone to blood clotting conditions than people of Asian descent. Kubota and his colleagues analyzed data from 15,158 Americans aged between 45 and 64 when the Atherosclerosis Risk in Communities Study (ARIC) started in 1987. ARIC is an ongoing population-based prospective study of blood-flow related diseases in the US. Participants were initially asked about their health status, whether they exercised or smoked, and whether they were overweight or not. Since then, ARIC team members have been in regular contact with participants, to ask about any hospital treatment they might have received. Through the analyses of hospital records and, where relevant, imaging tests, 691 incidences of VTEs were noted among the participants up to 2011. 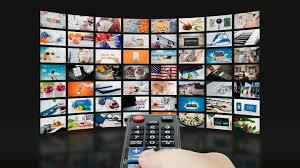 The findings show that participants who watched television very often had more than 1.7 times the risk of suffering from a VTE compared to those who never or seldom watched TV. This risk still remained high even when factors such a person’s weight or levels of exercise were taken into account.